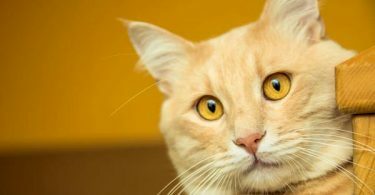 Does your cat have a urinary tract infection? Are you confused about how it happened and what options you have to feed it? You have come to the right place! In a few seconds, we are going to give you the solutions to all of your toughest questions as well as provide our top recommendations for the foods you should be feeding it during this time to treat and hopefully prevent future occurrences. Note: Most of the below foods come in both wet and dry versions. This cat food is for cats that are at risk of developing feline lower urinary tract disease (FLUT). Royal Canine has developed a special Urinary SO formula that specifically treats and prevent feline urinary tract infections. It works to control the concentration of struvite and calcium oxalate in your cat’s urine which is a major factor in the development of this condition. In addition, you can be assured that your cat will be still be receiving its daily nutritional needs as this food is formulated to meet the AAFCO (Association of American Feed Control) Cat Food Nutrient Profiles for adult cats. It is also safely tested according to AAFCO procedures to validate this claim. 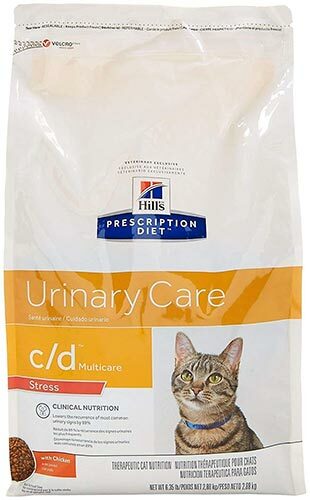 If you are looking for wet cat food that will also help your cat’s urinary tract infection, this cat food delivers both. 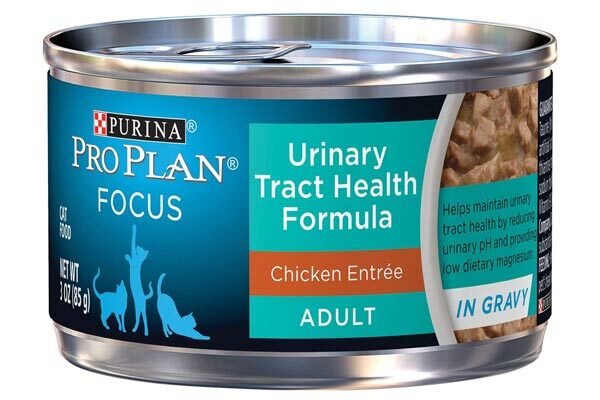 Its made with real chicken and helps to keep your cat’s urinary tract regular by reducing its pH. In addition, it will help improve your cats immune, digestive and skin systems by providing your cat with balanced nutrition in every bite! Contains fillers, soy, gluten, and other ingredients that may be bad or your cat may have allergies to. This cat food promotes urinary tract health by promoting your cat’s urine production and water intake. 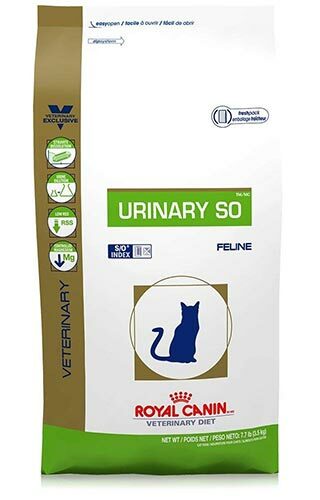 It also encourages urinary acidification and contains taurine which is an essential protein for cats. It is a popular choice among veterinarians for the prevention of UTIs and people use this food more as a snack than a main meal for their cats. Contains fillers and other ingredients that might cause unwanted effects in your cat like allergies, etc. 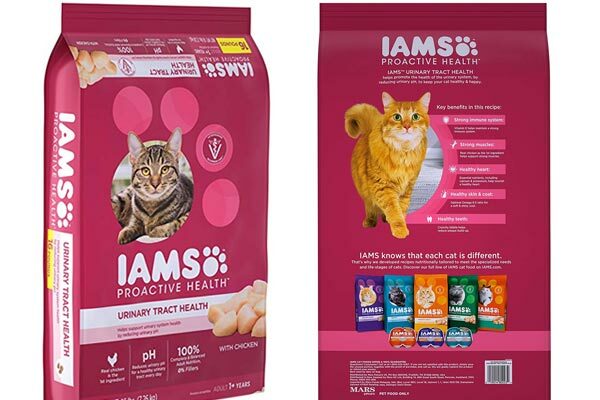 Are you looking for a larger bag of cat food that won’t cost an arm and a leg but works great for urinary tract infections? Then this one is for you! For the price you pay, you get a lot of cat food in the bag. Not only that, it is made to reduce your cat’s urinary pH and regulate a healthy urinary tract. It also contains Vitamin E and other essential nutrients that keep your cat’s immune system in tip-top shape as it might be otherwise compromised while fighting off a UTI. The crunchy kibble is designed to reduce plaque build-up on your cat’s teeth and omega-6 to 3 fatty acids are added to give your cat a healthy, shiny coat. If you are looking for a high-quality cat food that is good for preventing UTIs, this food is a good option for you. It is clinically tested to reduce the occurrence of UTIs and other urinary tract conditions by 89%. Although the title says it is a prescription food, you will not need one to get it. 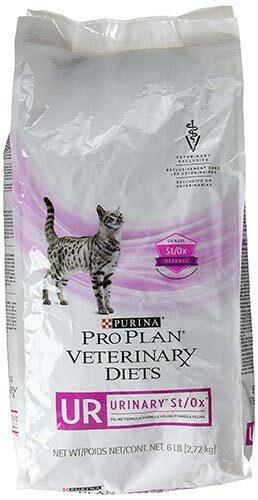 You can give this to your cat as a snack or part of a low carb diet meal plan. When deciding on the right cat food to help your cat with its UTIs, there are a couple of factors that you need to take into account. Depending on the brand, it may or may not give your cat all of the nutrients it needs along with the UTI treatment benefits that the food offers. If the food does not contain all of the nutrients your cat needs, you might want to try and use it more as a supplement or snack to its main diet. On the other hand, if the food includes a well-balanced diet, you can get everything your cat needs in one bag of food. Further to the above, your choice will come down to your budget. Foods that only treat your cat’s UTI will be less expensive than the ones that cover all of your cat’s nutritional needs. In addition, the ingredients will affect the price. More expensive foods tend to have fewer fillers and high-quality ingredients that are responsibly sourced. Less expensive foods will have fillers and ingredients that may not get along with your cat’s well-being. At the end of the day, your choice will come down to the amount of money you have to spend and which situation is more comfortable for you. Since you are getting the food specifically for the treatment and prevention of urinary conditions, you need to make sure it contains ingredients fit for the job. According to Cat Info, calcium and magnesium are top contributors to urinary tract blockages. Look for foods that are low in these substances. As they suggest, look for foods that are low in phosphorous as it is a good indicator for calcium and magnesium levels since all of them are prevalent in the bone matter that is used in some cat foods. To learn more about feline urinary tract infections, click the link below to watch this short but informative YouTube video. The Spruce Pets informs us when it comes to promoting good urinary health, canned cat foods are better than dry foods. This is because they have higher water content and are pH balanced. Although some dry cat foods are also pH balanced the majority are not so sure to check the nutrition label and product website to verify. Ultimately, your best move to helping your cat develop good urinary health is to provide it with plenty of water. Always have a bowl of fresh water out for your cat to drink. How Does Wet Canned Food Help Urinary Tract Health? Wet cat food promotes good urinary tract health because it has a balanced pH and high water content. Both of these variables are important components in the prevention of urinary tract conditions. If you prefer to give your cat dry food, supplement it with a small portion of wet food. 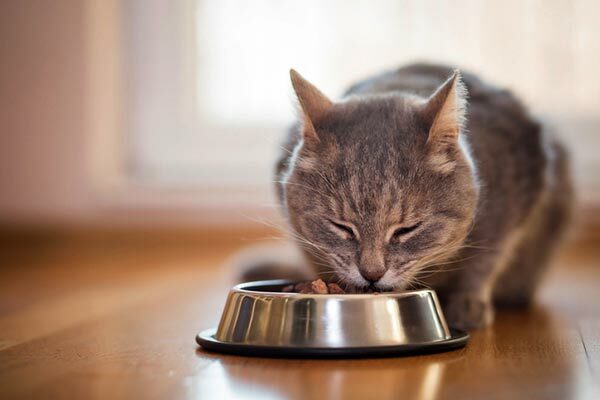 What Makes Cat Food Good For Urinary Health? These minerals are commonly found in bone matter. That means in order for your cat to have a reduced risk of developing urinary conditions, avoid cat foods with bone meal, etc. Although some of these minerals might not be listed on the food nutrition label, phosphorous tends to be reported. Since all of these ingredients tend to be prevalent in the same sorts of matter, be sure that the phosphorous content in the food you choose is low. This is not a fail-safe method but it is a very good indicator for you to go by. Can Changing Your Cat’s Diet Help With Urinary Problems? The answer to this question depends on what you are currently feeding your cat. If you are already feeding them a high-quality cat food that is low in phosphorous and the other minerals above then the cause might be something other than its food. 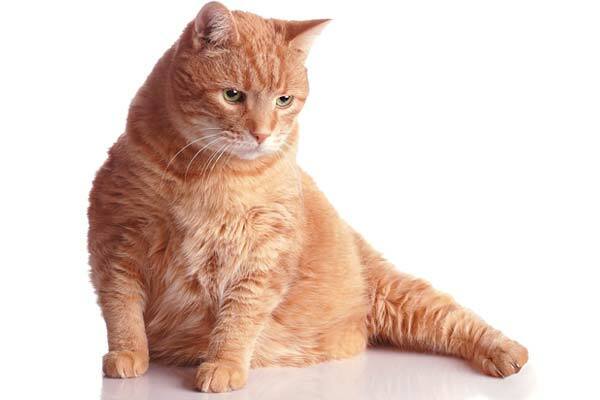 If you are feeding your cat low-quality food or food that is high in the above-listed ingredients, then you might want to consider switching to a healthier option. Before you make any changes, however, consult your cat’s veterinarian because they will be able to examine it and provide you with more information about what is going on. D-mannose which is a sugar that can be found naturally in cranberries and other fruits. The sugar helps to flush out your cat’s urinary tract by sticking to bacteria and other blockages. Bromelain enhances the effects of antibiotics that your vet might recommend for treatment and also reduces inflammation. Uva Ursi Leaf is a strong astringent that can attack pathogens responsible for UTIs. It is also reduces bleeding and bladder inflammation. Water: Make sure that your cat has access to lots of water. Water helps to flush out their system and dissolve the solids that are causing blockages. Can My Cat Die From a UTI? If treated immediately, a UTI will not kill your cat, however, as Pet Finder points out, if left untreated your cat can potentially die from this condition if its unable to urinate. Pet parents usually confuse their cats straining to pee as constipation which can be a deadly mistake. 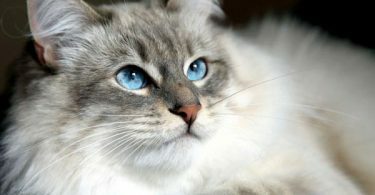 The best choice for your cat’s well-being is to heir on the side of caution and take them to be examined by a vet. They will be able to do physical and run tests that will pinpoint exactly what is going on with your cat. Now that you are properly informed about your cat’s urinary tract health and what foods are best to feed it, its time for you to take action. Do not leave here thinking that you have time because as we learned, this condition is something that needs to be treated and controlled right away. Scroll back up and choose one of the cat foods that we have recommended. We have purposely included both wet and dry options as well as expensive and less expensive options to suit your unique preferences and situation.